Footfall Flooring is a UK-based manufacturer of products that deliver real, acoustic benefits, made from mainly recycled raw materials. When Footfall Flooring was set up, we were asked to manage the design and print of all corporate literature and brochures to promote their varied product ranges. Each product has within it multiple collections, which all need to be individually marketed and designed. 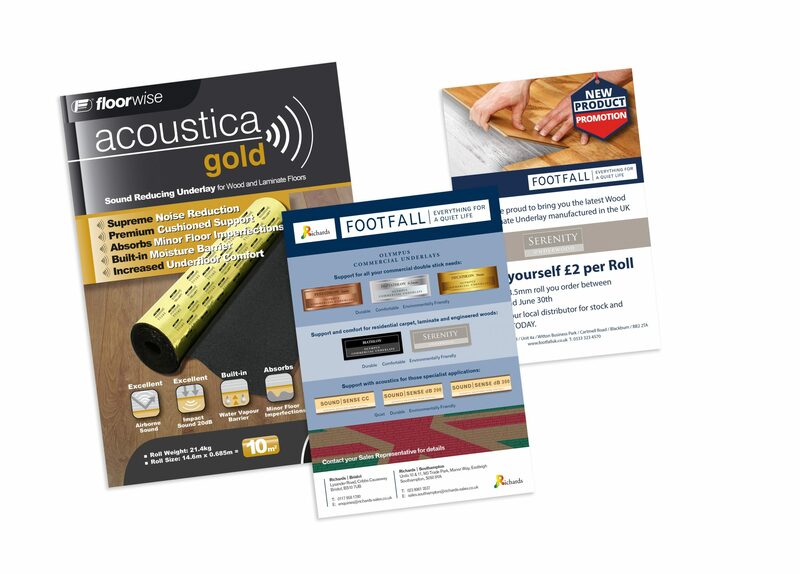 Footfall Flooring requires a large number of brochures to promote their ever increasing range of products and services, which are often needed on a very tight turnaround. 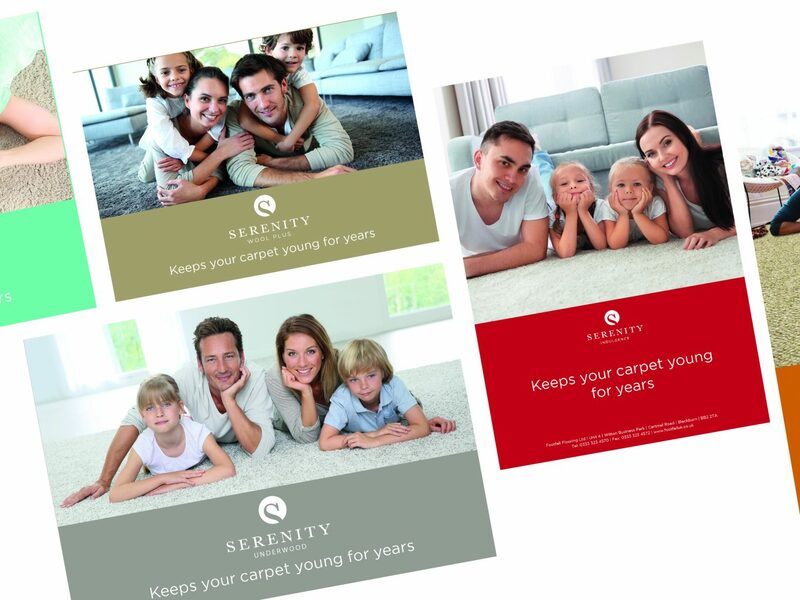 To the right is a selection of brochures that have been produced for the ‘Serenity’ range. 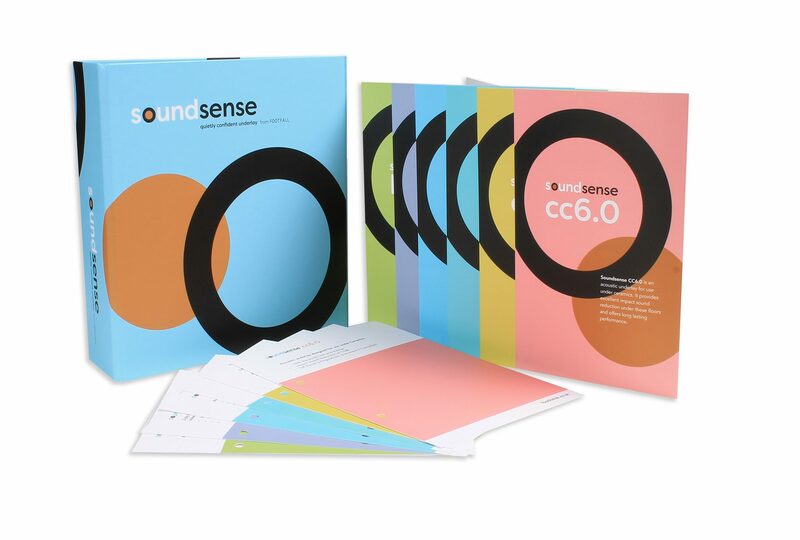 Sound Sense is another popular product range, which they have heavily invested into by designing and manufacturing a bespoke ring binder to showcase the full range of underlay products. We also produce a range of stationery items, product spec sheets, packaging designs and internal graphics. The product literature that we design require top quality photography which we produce in-house. We believe that a photograph says a thousand words, so the quality of the shot has to reflect this. We were asked to design, manufacture and install the signage on their factory, based in Blackburn.